This is a true story that every husband and wife should read. Bob and Audrey Meisner had it all: a fruitful ministry, three beautiful children, a picture-perfect marriage. Their future seemed secure and their prospects bright until adultery threatened to bring it all crashing down. Faced with the greatest personal crisis of their lives, Bob and Audrey found hope and rescue through godly counsel and through learning the biblical principle of covering to protect their marriage and their family. Through heart-wrenching emotional anguish, deep layers of repentance and forgiveness, and even an unanticipated pregnancy, Bob and Audrey found restoration in discovering the true nature of supernatural love and the limitless grace of a merciful God. Against all conventional wisdom and human expectations, their marriage not only survived, but came to thrive in the midst of a culture that is increasingly hostile to traditional family values. Learn how to cover your marriage and protect your family. Rediscover how to become irresistible to your spouse. Learn how to make your marriage thrive in a culture of quiet desperation. Take cover! Don’t leave your marriage unprotected! I deserved shame and ridicule…then one day I forgave myself. In the middle of a picture-perfect marriage, Audrey experienced the unimaginable…an affair and unexpected pregnancy. Overwhelmed with self-judgment, torment, and consequences, grief began to riddle her life with despair. This once vivacious and confident woman was now lost in the remorse of her choices. Journey with her to the place of newfound realities where hope is realized and dreams are fulfilled. How to overcome big mistakes in your past. Seven steps to forgiving yourself once and for all. To find the rest and comfort you long for. To be responsible without sacrificing fun. To celebrate and embrace your unique beauty. If you are trying to do the right thing, but you’re tired, stressed by responsibility, and you just can’t remember the last time you had a good belly laugh, this book offers the life-altering solutions and fun that you’ve been longing for. In marriage, most men want a wife who will be their best lover while most women desire a husband who will be their best friend. The secret to a marriage that thrives is in learning to combine both of these elements in harmonious balance. Unlike most marriage enrichment books which focus outward on “life modification,” or behavioral changes, Your Supernatural Marriage looks inward to the real key to a happy marriage and finding satisfaction in love: heart transformation. It is only when our hearts are transformed from within by embracing the incredible love of God for us that we can enter into a marital relationship as full and rich and satisfying as we have always dreamed-a relationship characterized by complete abandonment to each other in self-giving love. 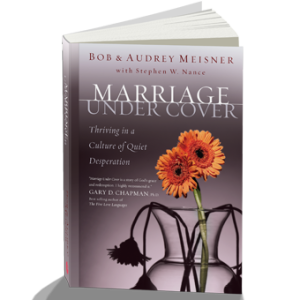 Using solid scriptural principles as well as insights gained from their own experiences, Bob and Audrey Meisner, best-selling authors of Marriage Under Cover, share how the infinite, amazing love of God transformed their hearts and restored a marriage almost destroyed by adultery to a place where they are thriving today as never before. Reignite the fire in your marriage! 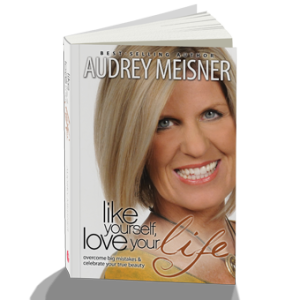 Learn how to become satisfied in love through heart transformation! The simple principles in this book will lift your marriage to a whole new level of healing and wholeness and transform it into an electrifying relationship that exudes strength, intimacy and a vibrant, joyous life! Usted va a reírse y llorar a medida que Bob y Audrey cuentan su fascinante historia de amor, engaño y vivir cosas realmente imposibles. Prenda la llama de la esperanza en su corazón y sea testigo de una hermosa imagen de la inmensa gracia de Dios. Es difícil estar feliz cuando las cosas que han pasado que parecen imposibles de perdonar. Únase a la travesía de cómo Bob y Audrey se liberaron del odio, la amargura y la vergüenza y cómo el poder sanador de Dios trajo felicidad y paz nuevamente a la familia! Bob & Audrey have impacted countless people around the world as they share their compelling story of God rescuing their marriage. Their National TV show is seen daily across Canada and is available online 24/7 at www.mynewday.tv They both hold their Doctorates in Ministry, are best-selling authors, popular conference speakers, have four children and live in Phoenix, Arizona.